I was just wondering if anyone here has actually met Noel. I have! I can't find the piccy in Photobucket though, but I'll look later. Where/when did you meet him? I havn't yet...but me and my friend are going for worke xperience for a week in camden...so we have a chance of meeting him we will be on constant look out! If you do don't forget to tell us allll about it! Everyone's off to Camden! Is there some meet up I'm unaware of? 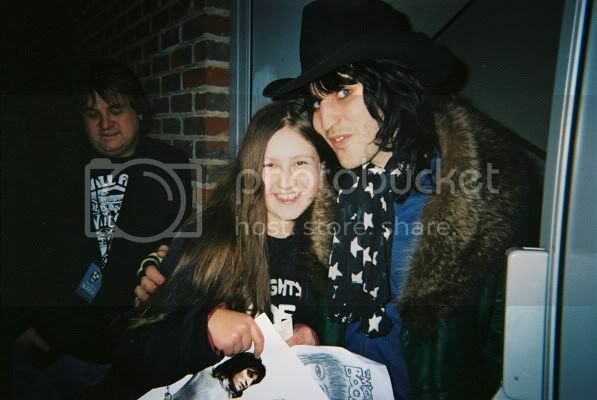 I've met Noel, Julian, Rich, and now my life ambition (taking it a bit far there) is to meet Russell!